This fall is the perfect time to take home the car of your dreams! 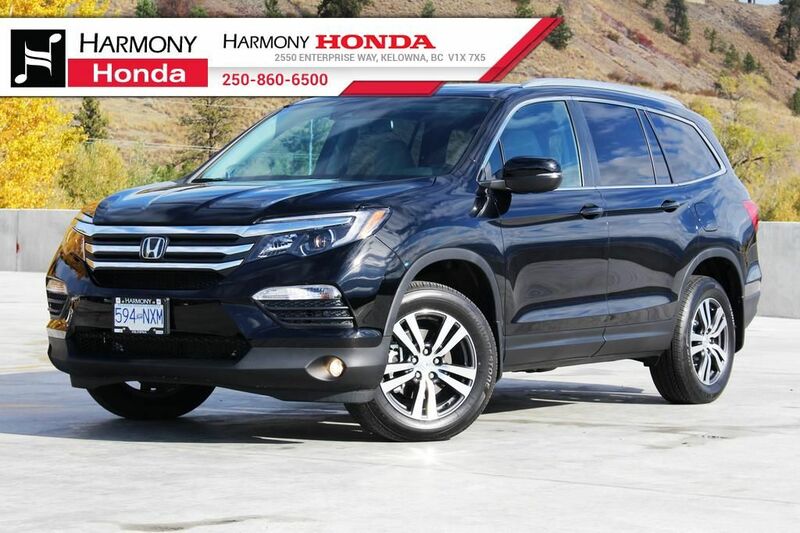 During the “Harvest of Values” event at Harmony Honda, you can get a great deal on several outstanding, hand-selected models at the dealership. You will have to act fast, though – this deal only lasts from October 18-22, 2016. 2016 Honda Pilot EX-L Navi: This rugged, yet refined SUV in Crystal Black Pearl delivers the performance prowess you desire without sacrificing sophistication. Heated front bucket seats are ideal for chilly Kelowna winter days. For even more comfort and convenience, there is a 10-way power driver’s seat with power lumbar support. To handle even tough terrains, this Pilot is equipped with a 3.5L V6 engine that generates 280 hp when mated to a 6-speed automatic transmission. The starting MSRP for this model begins at $48,695, but during the duration of this event, it can be yours for the Harvest Price of $46,695. That’s a $2,000 savings! 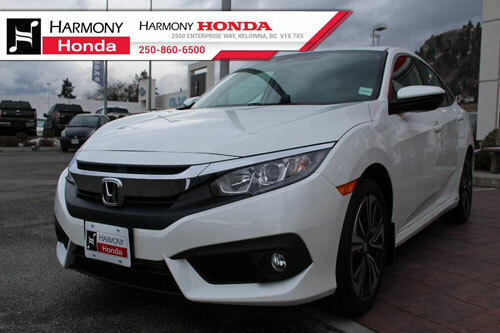 2016 Honda Civic Sedan FWD: This gleaming White Orchid Pearl Civic Sedan is sure to garner some admiring glances on the roads. The Civic is not only a beauty on the outside, but on the inside as well. It is outfitted with a 1.5L I-4 DOHC 16-valve engine that produces 174 hp when paired with a CVT. Metallic interior accents provide a classy aesthetic. This vehicle typically has a starting MSRP of $27,415, but during this sale only, you can take it home for the Harvest Price of $24,415 ($3,000 in savings)! 2017 Honda Accord V6 Touring Sedan: Sporty good looks and a V6 engine make this model an ideal choice for those who want a racing-inspired vehicle with an affordable price tag. Enjoy 278 hp and 252 lb-ft of torque for a spirited ride. This vehicle fits five passengers comfortably and still has 15.5 cubic feet of trunk space for any cargo or gear you may need. During this event, you can save a whopping $4,000 off of the MSRP of $42,695. Take home the Accord of your dreams for just $38,695. 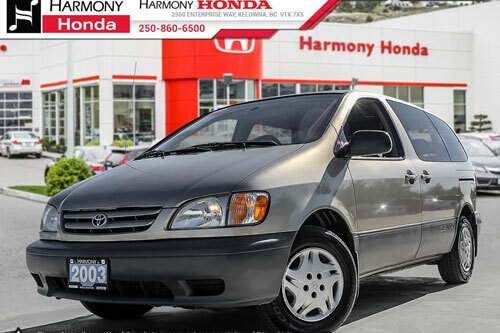 2003 Toyota Sienna: When you are in need of an affordable family vehicle that you can depend on, look no further than this pre-owned 2003 Toyota Sienna. This model has a neutral brown exterior and 263,907 kilometers on the odometer. This model has been meticulously taken care of and is a Harmony Certified vehicle. This means you can have peace of mind knowing all maintenance is up to date. What’s even more attractive is the Harvest Price, which is just $4,000. This model was originally listed at $6,990. That’s not all – you also receive FREE winter tires in addition to the savings of $2,990. 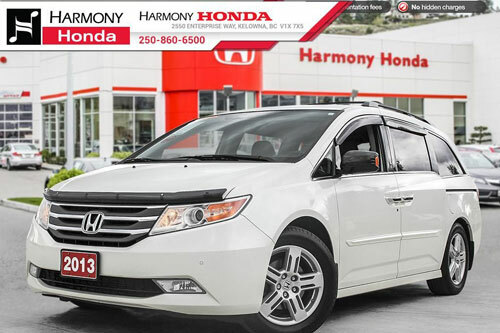 2013 Honda Odyssey FWD: Another great choice for those in the market for a family vehicle is this pre-owned Odyssey in White Diamond Pearl. This Odyssey has had only one previous owner and was bought locally. It was serviced right here at Harmony Honda, so you know it is in pristine condition. It has 107,392 kilometers on the odometer and is fully loaded with features like a backup camera, heated seats, and leather interior. Drive this model off of the lot for just $30,900 – a $3,000 savings. You also receive a FREE set of winter tires! 2012 Honda CR-V EX-L AWD: In the market for the ideal all-season vehicle. You will find it right here at Harmony Honda. This model has only had one owner and only has 70,325 kilometers on the odometer. Because it is a Harmony Certified vehicle, you can rest assured that it has received all necessary maintenance. This pre-owned CR-V was originally priced at $24,500, but right now you can save $1,000 and take it home for $23,500. To sweeten the deal, you will also get a FREE set of winter tires. 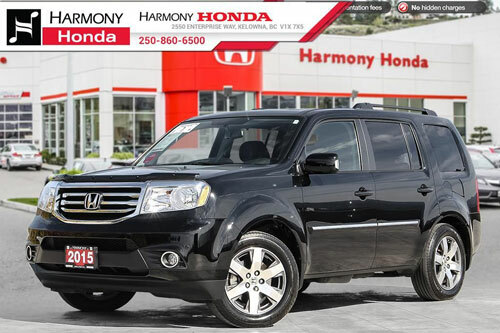 2015 Honda Pilot Touring: Experience luxury without the steep price tag with this pre-owned Pilot. This spacious SUV seats seven passengers comfortably and was designed with safety in mind. This makes it ideal for busy families and adventure-seekers alike. It only has 22,174 kilometers on the odometer and it is excellently maintained. Save $1,000 during this sale only. You can have this vehicle for the Harvest Price of $43,000. Winter tires come with this model at no cost! 2013 Honda Civic LX Auto CPE: The athletic stance of this 2-door model is sure to earn admirers wherever it goes. This pre-owned vehicle has only been Honda serviced, ensuring it is in nearly new condition. A CarProof vehicle history report comes with this Civic, so you can have peace of mind with your decision. This model was originally $16,500, but you can save $2,000 with the Harvest Price of $14,500. Enjoy FREE winter tires with your purchase of this vehicle. 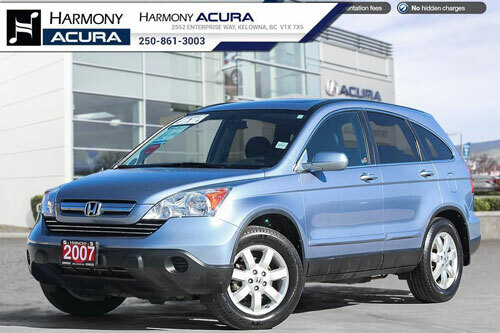 2007 Honda CR-V: This sporty CR-V is up for any adventure. From its stellar safety features like advanced airbags and daytime running lights, to performance amenities like a 4-cylinder engine and 5-speed automatic transmission, the CR-V doesn’t disappoint. This vehicle was $13,500, but you can enjoy a $2,000 discount and FREE winter tires – get this vehicle during the “Harvest of Value” event for $11,500. 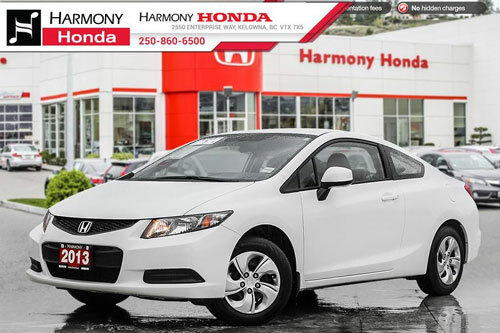 Hurry in to Harmony Honda Today! You only have a limited time to take advantage of these incredible values. 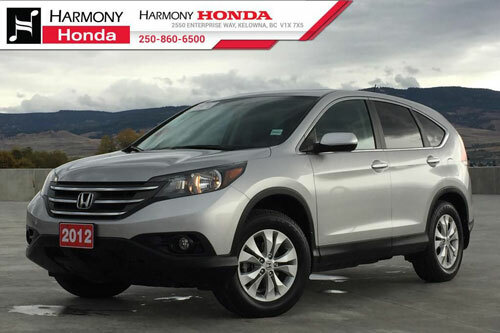 We are known for our vast inventory of new Honda models, but we also have the best selection of pre-owned inventory in the Okanagan Valley, with prices ranging from $4,000-$50,000. You can feel confident in your used car purchase when you select a Harmony Certified vehicle, because that means that all servicing and maintenance is up to date. You also do not have to worry about doc fees or hidden charges, and each used car comes with a CarProof vehicle report. For even more peace of mind, we offer a 30-day or 2,500-KM no hassle exchange policy. 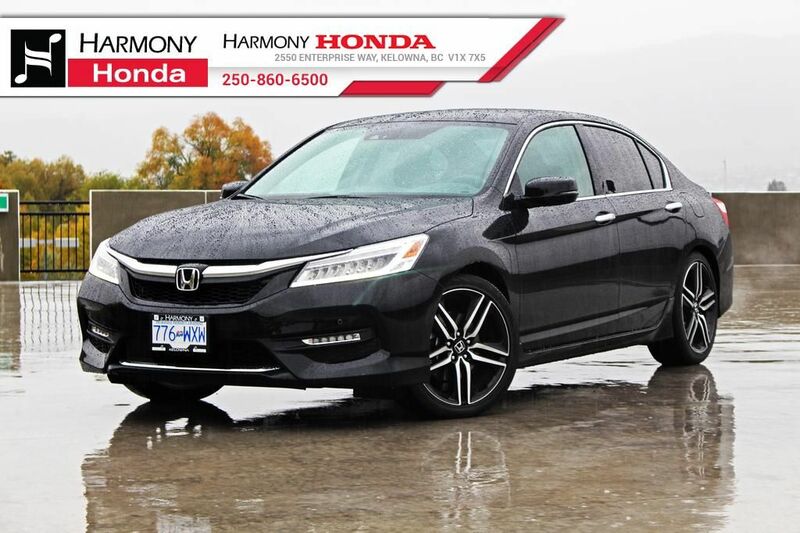 Whether you want a brand new car or a pre-owned vehicle in like new condition, look no further than Harmony Honda, located at 2550 Enterprise Way in Kelowna, BC. We offer some of the most competitive financing around. For more information, feel free to contact us at 250-860-6500. Don’t miss out on one of our best sales of the season!